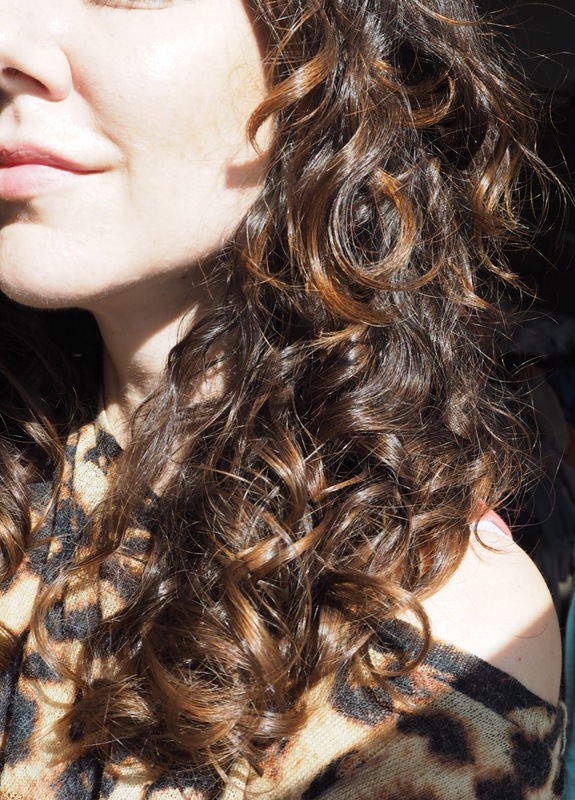 How to get the absolute best out of your natural curls and UK product guide. This post has been a long time in the making. It’s taken years of experimentation to finally feel like I have control over my hair. My hair is wavy but not curly in that fetching Sarah Jessica Parker way, more like some wool that that the cat played with then sat on. For many years I just wore a bun or for special occasions I would straighten the life out of my curls. Not any more, I’ve figured out how to make my curly hair a lovely feature. With bouncy textured hair being so fashionable, now is the time to embrace your inner curly girl. Chuck these products– anything that contains Sodium Laureth Sulphate, silicone, alcohol. This isn’t easy. I’ve spent hours in Sainsbury’s poring over labels. Most of the Curly Girl information is aimed at Americans so I’ve had to figure things out myself largely. It involved googling lots of chemicals. 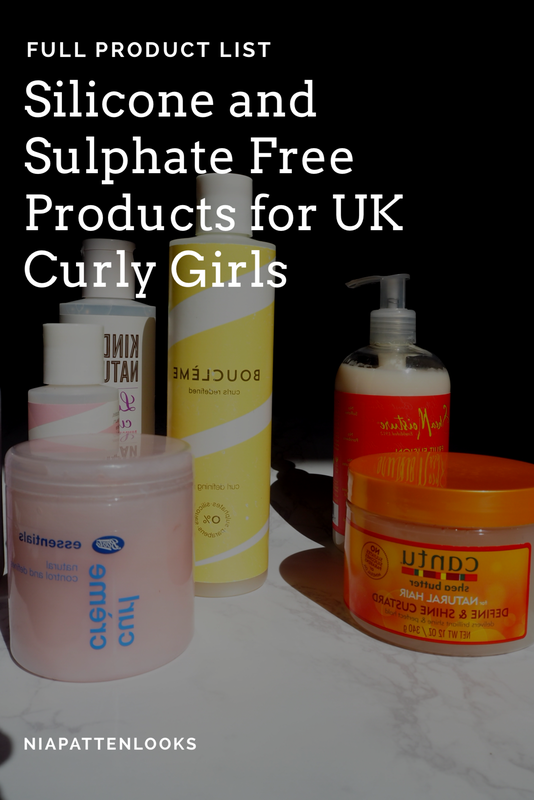 The next chapter of this post contains a list of all the curl safe products that you can easily find in the UK. Only wash your hair when needs be- The longer you leave your hair between shampooing, the better. Of course you may shower every day and get your hair wet, but resist temptation to lather up on the daily. Use conditioner instead. I have two conditioners in my shower and one sulphate free shampoo. One deep conditioner for days I need to shampoo and a lighter daily conditioner. This conditioner only technique is called co-wash, you basically wash your hair with conditioner. Don’t brush– I haven’t brushed my hair in months. I comb the conditioner through my hair with my fingers to get rid of knots, but that’s it. Product– I’ve found my holy grail product that has just the right amount of hold (see below) and it lives in the shower. With my hair sopping wet and my head still upside down I grab a small blob and scrunch it into my wet wet hair, at the same time squeezing water out. The curls must be left to dry naturally without disturbing them in any way. If you you live in a warm country this is no problem. I don’t happen to live in a warm country but I just do my hair thing as early as physically possible and let nature take its course. I’m on the hunt for some sort of magic hairdryer that doesn’t bugger up my curls. Basically curly hair is like a special snowflake and if you fuss with it, it’ll throw its toys out of the pram and ruin your day. All my hair styling goes on in the shower and after that I just touch wood and hope for the best. Like I said, there is wealth of resources for American curlies, but it’s harder to find product information elsewhere. So you have to get wise to product labels. The phrase “natural ingredients” means nothing. 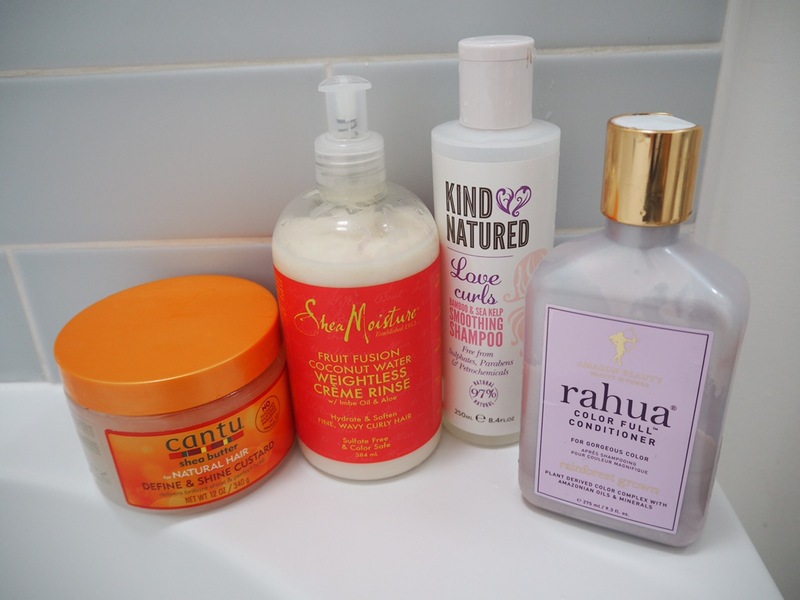 Choosing products that make the most of curly hair is surprisingly difficult. Cosmetics companies make claims about products making hair bouncy and shiny but unfortunately these are lies and most hair products contain ingredients that are likely to make wavy and curly hair frizzy. Sulphates (seen on ingredients labels as Sodium Laureth Sulphate and Sodium Lauryl Sulphate) strip hair of its natural oils and dry it out. It will also strip colour from hair, so if you dye your hair, going sulphate free is a good idea. Sulphates will dry the scalp, so cutting them out will help with persistent irritation. Silicones are added to hair products because they give products a pleasant slippery feeling, but (especially if you only use Sulphate free shampoo) they will build up on the hair cuticles and weigh hair down. Waxes and non natural oils such as mineral oil, petrolatum and beeswax should be avoided. Alcohols, like isopropyl alcohol, can be very drying and are best avoided, apart from some moisturising alcohols like cetearyl alcohol. A full list of good and bad ingredients can be found on BritishCurlies.co.uk, it’s best to check this list if you’re not sure. I will update if I ever I come across suitable SLS free shampoos in the supermarket. It’s far easier to find Sulphate free products online and in drugstores like Boots and Superdrug. It is easier by far to find Curly Girl safe Conditioner than shampoo at the supermarket. Tesco Own Brand Provitamin Conditioner 300ml 90p Bargain! Umberto Giannini Curl Jelly Scrunching Jelly £7 for 200ml- This is a styling product, you might find it in the larger Tescos. Take your search a bit wider and there are a plethora of choices. Kind Natured– Available from Boots. Kind Natured contains no sulphates, no silicone, no parabens, no petrochemicals across their range. It’s also very affordable at around £5 a piece. A good solid CG friendly choice. 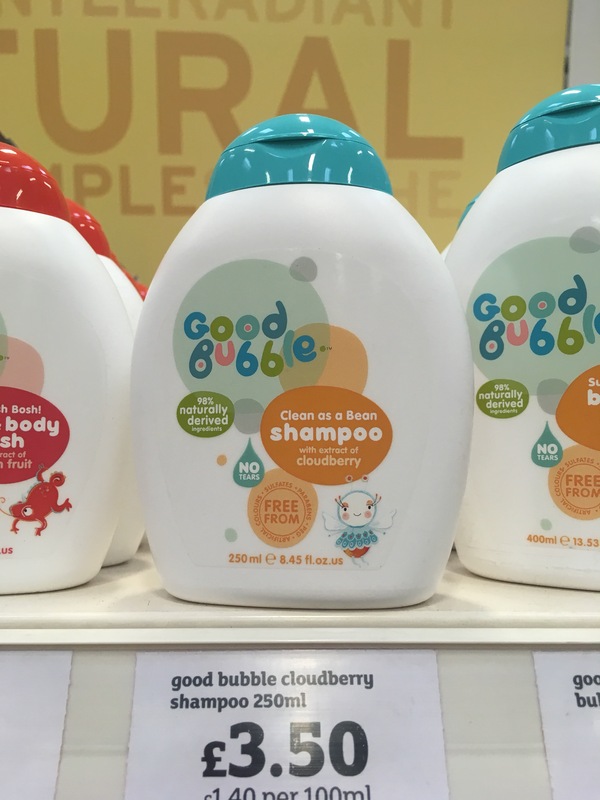 Professor Scrubbington Magically Foaming Shampoo and Conditioner £3.99– All natural and totally affordable shampoo from Boots. Liz Earle Botanical Shine Shampoo and Conditioner– Haircare from the well known creater of the all natural Hot Cloth Polish, a bit pricey at £12, check it out at Boots. 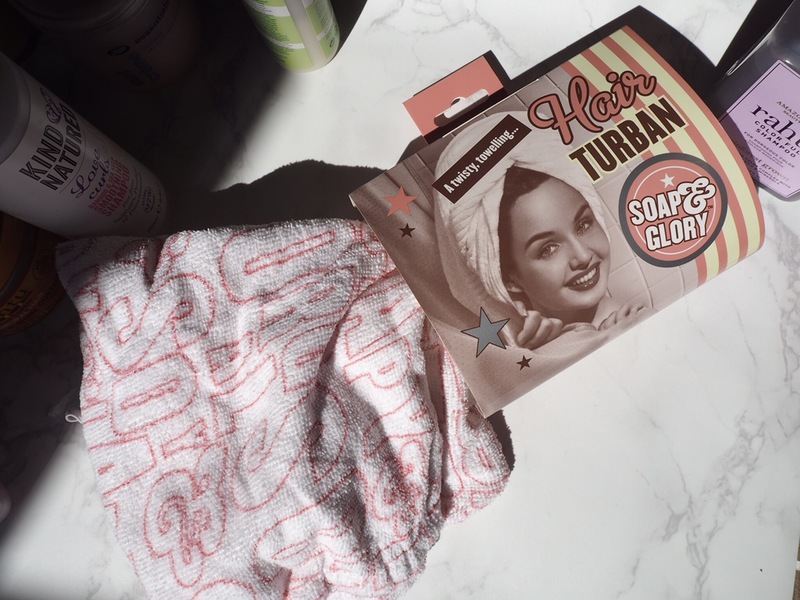 Soap and Glory Shampoo £5.50 from Boots exclusively. Noughty– Shampoos and conditioner range that’s entirely free from nasties, from Superdrug, costing around the £7 mark. A couple of random things that I’ve come across and liked that fit the curly bill. Rahua– Super expensive (£38 for a conditioner) haircare from the rainforest, for when you fancy a treat. Rahua Is pronounced Ra-Wa. Hair is Fabric from Deciem– Here’s a review I did recently on HIF. 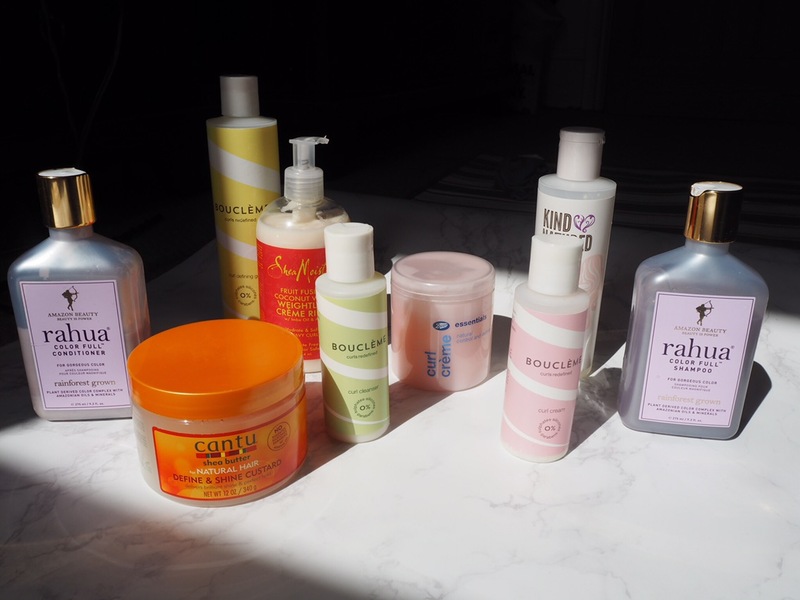 It’s a broad range of Cleansing conditioners costing around £30 a tube. My current product line up is Kind Natured Shampoo once or twice a week. 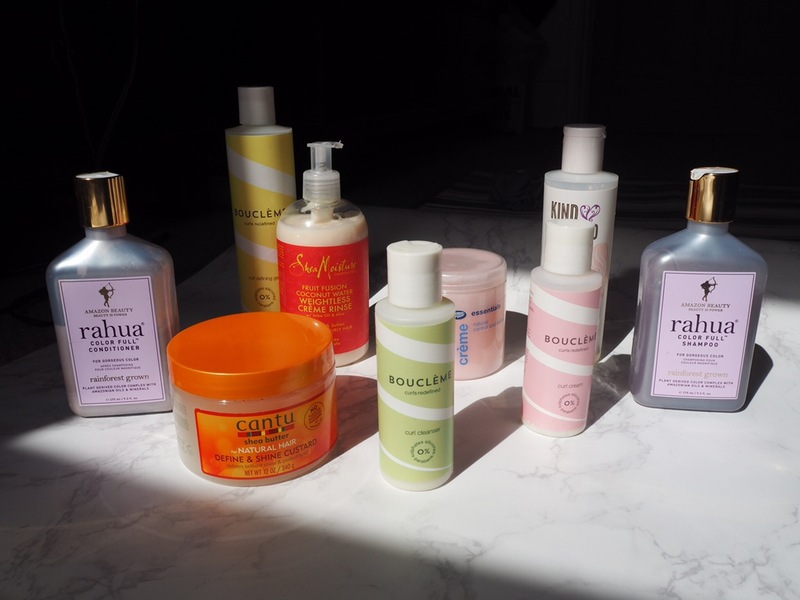 I use the Rahua conditioner on the days I shampoo for extra moisture, and the Shea Moisture Weightless Crème Rinse every other day. My styling product of choice is the Cantu Shine and Define Custard, it gives the perfect amount of hold. I hope I have given you some useful inspiration. If you have any movement in your hair then the Curly Girl Method is worth researching. If you don’t have a natural wave but find your hair gets frizzy, or your scalp is dry going Sulphate free might be extremely beneficial. It’s been surprisingly difficult compiling this list, I’ve gone half mad reading ingredients lists. For more information and UK curly chat check out the Curly Girl UK Facebook group. For a full list of taboo ingredients check this Wikihow. If you have any great product tips for managing curly hair in the UK, please let me know in comments. Great post! I’m like a CG detective – the CG ingredient list is on my mobile at all times lol. I have found some real bargains in TK Maxx, with huge salon-size bottles of conditioner for a couple of quid. Shampoo bargains are harder to find. My hair gets super knotty. I brush my dry hair thoroughly on hair wash before I hop in the shower : is this bad for my waves though? Thanks for this its a great help, I’ve been trying to follow the CGM but found everything so confusing and US based. Could I ask what you routine is on the days that you don’t wash? Any tips for the final wash, I have some Liz Earle shampoo can I use that? Thank god this finally exists!! Brilliant article Nia, so helpful thank you! Can’t wait to give this method a go. Do you ever straighten your hair now? Great blog. You mention in Step 5 your holy grail product that you scrunch into your soaking wet hair after the cold rinse could you please tell me what this product is please as there are so many listed. Thank you . Looking forward to giving this a go after spending £££ over the years on products that claim to define curls !